Black mink fur scarf, created with black mink fur remnants. This scarf fits both men and women. 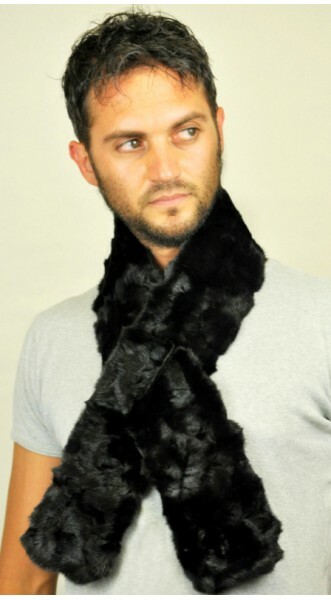 This scarf is trendy and has a brilliant black color. Inner lining with black polyester. Each of our fur accessories is handmade in Italy. We ensure best quality materials. Length 115/120 cm. Width 10 cm.